"These animals were essentially living in a sewer." 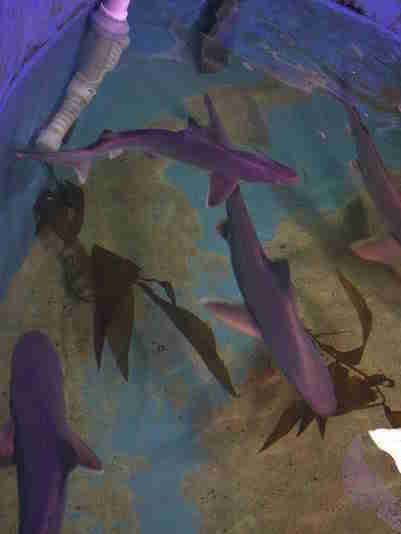 Officials from the New York State Department of Environmental Conservation (DEC) were in for quite the surprise this summer when they discovered seven live sharks swimming in a 15-foot-wide pool in a Hudson Valley man’s basement. Officials searched the man’s home due to suspicions he was harboring wildlife, though details of the case are still unavailable. In addition to the seven live sandbar sharks, officials found two dead leopard sharks and one dead hammerhead shark in the basement pool. 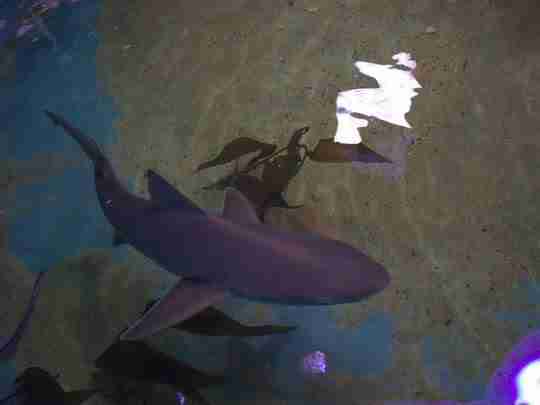 The sandbar sharks were less than 4 feet long and still growing — adults can reach up to 8 feet. Sharks must swim continuously in order to breathe, so the 15-foot pool they were living in offered potential for a number of health risks, George Burgess, director of the Florida Program for Shark Research at the Florida Museum of Natural History, told The Dodo. Water quality could also have contributed to the deaths of the three deceased sharks, he added. Details about the case — including why the man was keeping the sharks — are limited as the investigation is ongoing. 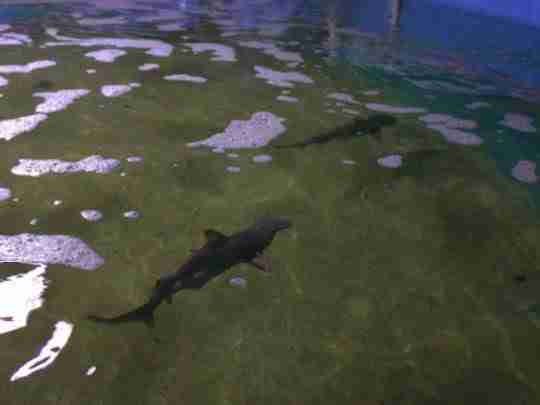 After their rescue, the sharks were taken to Long Island Aquarium to recover. The aquarium shared an update on Twitter about the sharks back in September, showing the animals in a quarantine tank while they were being nursed back to health. 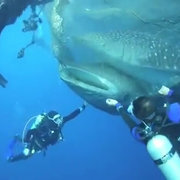 While the story is still murky, Burgess speculated that the sharks were being raised so they could be sold as pets or as attractions — or even killed for their fins. It's estimated that 73 million sharks are killed each year for their fins, which are used to make shark fin soup, and sandbar sharks are particularly popular targets due to their large fins. As a result, sandbar sharks are classified as a vulnerable species by the IUCN Red List and are a federally protected species in the U.S. Fishermen who catch the animals on a line can face fines if they aren’t returned to the water safely. While it has been a few months since the initial seizure, no charges have formally been made in this case. In the meantime, the sharks have been moved to a 40,000-gallon exhibit at the aquarium, where they will remain until a permanent spot opens at New York Aquarium. It’s unclear if the sharks are unreleasable, but due to their unusual start in life, they will likely live out their days in captivity. To help save sharks in the wild, you can make a donation to Sea Shepherd.